Captain EO was first introduced to Disney theme parks in 1986, at the height of Michael Jackson's career, and it was a hit right from the start. In addition to the talents of Jackson, the 3D film was produced by Star Wars creator George Lucas and directed by Francis Ford Coppola. Captain EO was originally shown at Disneyland and Disney World from 1986 to 1996, and then made a return after Jackson passed away in 2009, which was then known as the Captain EO Tribute. The movie has captured the imaginations of countless parkgoers over the years and now a new rough cut has surfaced online, providing a very different look at the iconic sci-fi musical. The newly leaked video shows Captain EO before it was finished. Most of the special effects have not been added and the voices used are the scratch tracks. If you listen closely, you can even hear someone off camera giving directions to the puppeteers. Since the special effects have yet to be added, early models and concept art are provided instead, painting a pretty specific image of what the final film would consist of. The Captain EO rough features Michael Jackson songs "We Are Here to Change the World" as well as "Another Part of Me", which are in finished form. However, James Horner's original score is not in place yet. Instead, instrumental cuts of Jackson's music are spliced in for transition sequences. It's pretty cool to see the final battle without the use of the special effects, as it puts the focus on some pretty amazing makeup skills that were utilized for the villains, most notably Anjelica Huston's Supreme Leader character. Related: Captain EO Returns to Disneyland in 2010! The rough Captain EO cut also features some pretty big differences, even without taking the special effects into consideration. The transformation of the Supreme Leader is noticeably different from the final cut and the communication set up with Commander Bog is also radically different from what fans saw on the big screen. In addition, some of the instrumental music provided during the cut scenes are unreleased pieces of Michael Jackson music, which have surfaced over the years on bootleg recordings. One of the cooler bits of unreleased footage comes at the end when the newly transformed Supreme Leader knights Captain EO. As an added bonus, instead of the ship taking off at the end, the planet turns back into a greener world, using footage from Star Trek II: The Wrath of Khan. 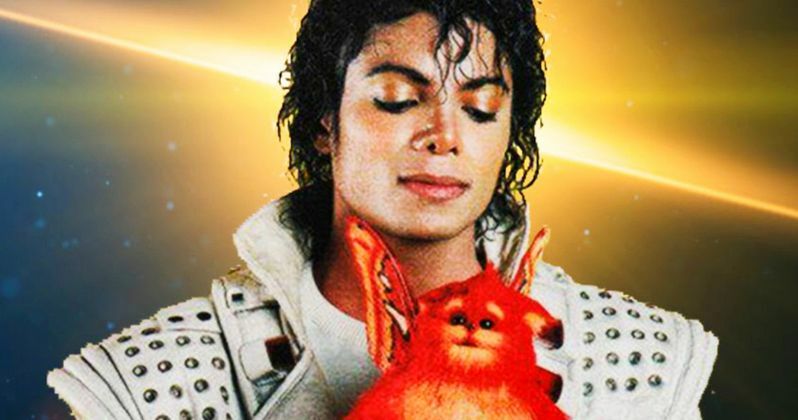 As with most rough cuts, the Captain EO footage is a fascinating peek behind-the-scenes. The footage gives viewers an insight as to what went on to make the groundbreaking 3D experience a reality. Michael Jackson was at the top of his creative game and George Lucas was fresh off of Return of the Jedi when Captain EO began to take shape. You can check out the newly leaked rough cut of Captain EO below, thanks to Walt Disney World News Today.